Baskets, Bunnies, Butterflies.. Spring is on its way! 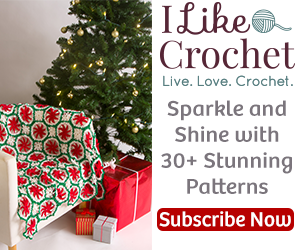 Click here or photo above for pattern! Spring is just around the corner and this little cutie can be whipped up in only 5 minutes or less! What a perfect way to adorn your already precious spring makes! The 5 minute bunny applique can be made larger or smaller with hook size and thread weight, so it is completely up to you and the project at hand! Attach to your dress or sweater makes, Easter baskets, hats, booties, little purses and so much more with this little guy. I personally will be making 4 different color bunnies to separate the kid’s Easter baskets this year… (We are a color coding kind of family =D). Whatever you choose to work this bunny up for, you will be delighted to learn how super fast and easy this project is! Yes, you did hear me correctly before when I said 5 min or less! This means you could make 12 or more bunny appliques in an hour! This would be the perfect attachment for the FREE Easter Jelly Bean Pursket & Egg Hunt Bag Pattern! Check it out!